As a memoirist, I am passionate about connecting with others through storytelling. I believe that in hearing each others' stories we automatically, or as I like to say, auto-magically, find greater compassion, understanding and love for each other. 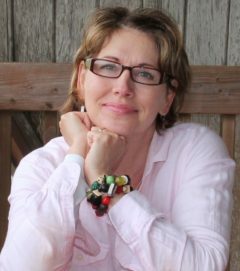 I am an award-winning author in both memoir and spiritually based self-help. My unpublished manuscript, Glowing Houses: An Appalachian Girl’s Journey from the Holler, took second place in the nonfiction/memoir category in the Pacific Northwest Writers Association literary contest. My unpublished manuscript is complete (~86,000 words) and I have a full proposal that includes the following: table of contents; chapter-by-chapter outline; synopsis; competitive titles; marketing plan; full bio; and three sample chapters. Glowing Houses: An Appalachian Girl’s Journey from the Holler is a coming-of-age memoir about a girl who grew up on the outskirts of a small town in West Virginia. By age fourteen, in the summer of 1979 and less than a year after getting her period, she finds herself pregnant and married—the quintessential hillbilly story. So ignorant she doesn’t know that doing the nasty is how babies are made. She leaves the holler and her family to live with her new husband’s family for what promises to be a better life, but a life that puts her face-to-face with The Outsiders, people her father say to avoid: church people, gays, blacks, white trash and snobs who use fancy words—but the very people who become her salvation. She struggles with a never-ending internal conflict, a duality: she feels naturally very smart and capable, but her profound ignorance makes her feel stupid. Over time, she eventually has a shift in understanding. She learns that black people are not out to cut her throat, that church people, mostly, have good intentions, and that people who use fancy words are the ones to imitate. In the course of her journey, she learns the meaning of words like unorthodox and gullible, how to order food from a menu, and that ignorance and stupidity are not the same thing. Although ignorant, she is not stupid. Glowing Houses is a nuanced, deeply felt memoir that both explores and explodes the stereotypes of the Appalachian hillbilly.